It is not every day that you explore jungles while seated on top of an elephant, nor drive an ATV in your compound; therefore you might be uncertain on the most appropriate attire for these activities. 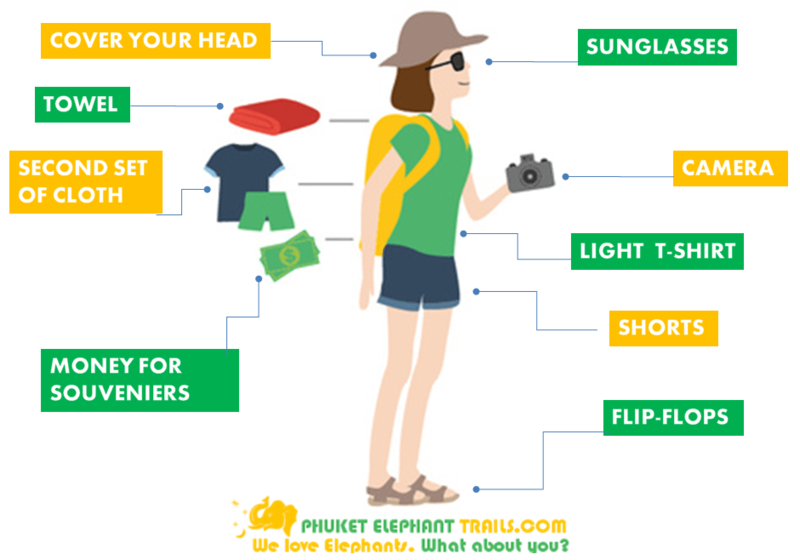 This is the reason we decided to offer you small tips on what to dress in and carry with you on our tours. Here, you are going to find out which attire is most comfortable for the particular tour and activities it involves. Each tour will be categorized according to the kind of activity. • A small quantity of money to purchase bananas for elephants or purchase some souvenirs. • Drinking water or other soft drinks. 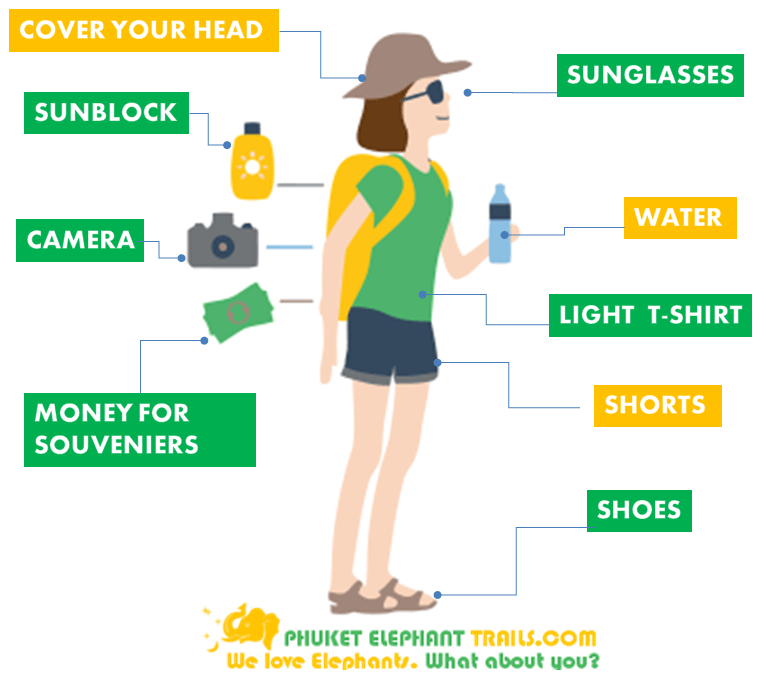 Elephant trekking is the main part of each tour listed above. Elephants love covering themselves in dirt and dust; therefore, the best thing is to dress in clothes you are comfortable getting dirty in. 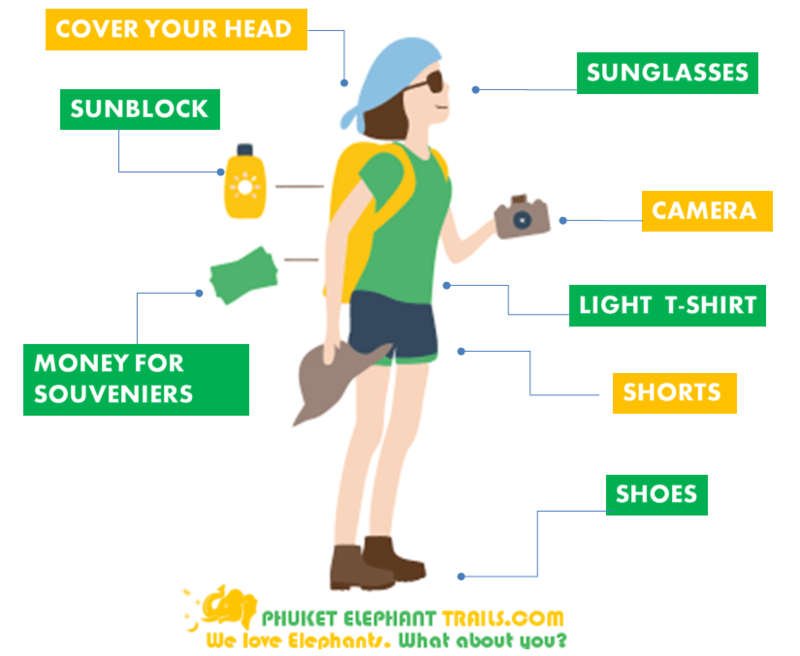 Mahouts (care takers for elephants) ride the elephants in bare feet, flip-flops or soft shoes and we consider this to be the ideal choice for you. YOU MIGHT GET WET HERE! Other than elephant trekking, with these tours you will engage in swimming in a waterfall, rafting or discovering the scenic islands using canoe in the sea. You are certainly going to get wet in the course of the white water rafting tour. 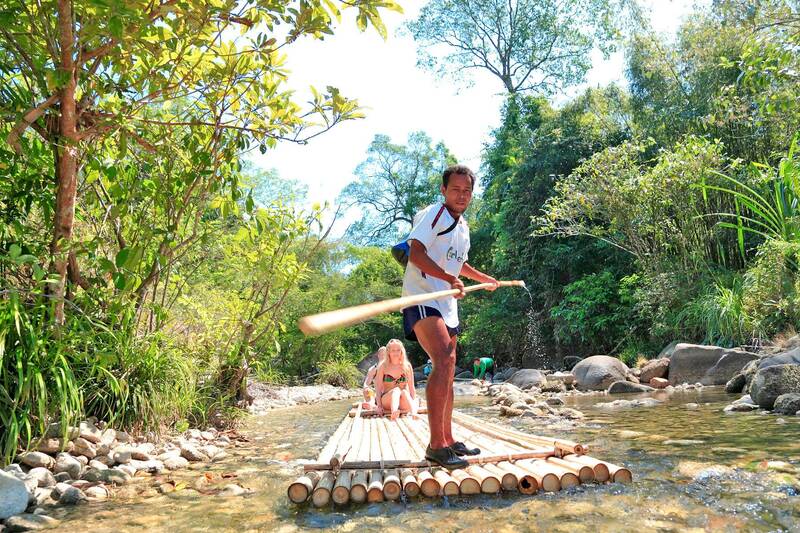 Khao Lak National Park’s bamboo rafting is a leisurely one, which is restful and most probably, you will not become excessively wet here. But, it is possible for you to get wet from the waist downwards. As you canoe in Phang Nga bay, you will not necessarily become wet; however, there is a distinct possibility as you are at the center of the sea seated on a small canoe! It is essential to carry a towel and another set of clothing for white water rafting. Even though the probabilities of becoming wet during the other two tours are slim, we still advise being prepared. Each tour listed here includes ATV riding. ATV involves dirt, dust and wheels. The chances here of getting dirty are even more, compared to when riding an elephant. We discourage wearing sandals or flip-flops, to keep your feet protected. It is better for your whole feet to be covered by your shoes. You might require a head scarf to cover your head prior to wearing a helmet. Sunglasses provide protection not just from sunlight but dust and dirt also, in the course of ATV tours.